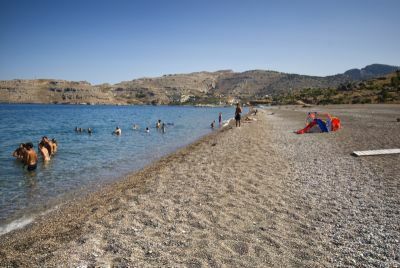 Sand and small pebbles as far as the eye can see - and the liveliest beach parties held anywhere on Rhodes. Basically a continuation of Kiotari, Gennadi beach combines two different characters. On the one hand there’s the vast beach where there’s always room for you and your friends to spread out your beach towels - only small parts of the beach are commercially organized - while on the other there are the Sunday parties with guests DJ's at the beach bars, which transform the character of the beach, attracting all the hip young people from around the island. 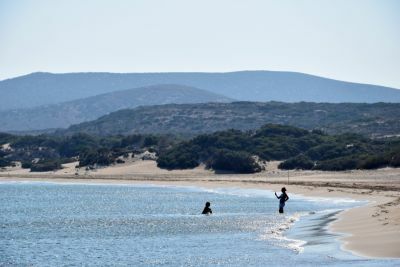 The beach in Gennadi is separated from the village, which lies above the main road, but along the road you'll find tavernas, rooms to rent, small hotels and the villas of wealthy local people. The waters in Gennadi are crystal clear, and it is more than likely that you will find a spot where you can enjoy your bath in complete solitude. My aunt and uncle live in Gennadi so I visit. The people, the food, the atmosphere, the beach, everything is amazing! Plus, it hardly rains in the summer! Gennadi is the best place what I've ever seen and visited. I spent there 2 vacation and I am going there for free time in this year. people, sea, beach, food everything is perfect. Mainly contentment and no stress there. 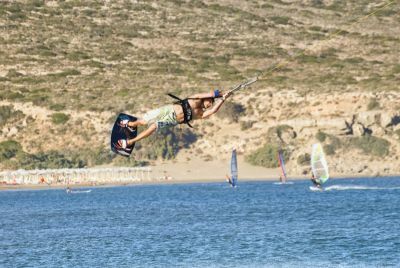 I and my family bought a house in Gennadi in 2006, we have been welcomed by the locals and although it is a holiday home we are treated the same as the locals, we would recommend it to anyone visiting Rhodes. 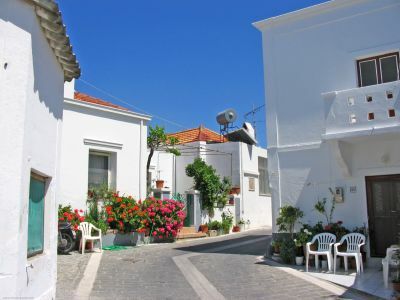 A real Greek village with all the charm and friendliness Greece has to offer. Gennadi is the most beautiful village on the island!! The people are amazing, Niko has the most amazing gryros, kostas internet bar is the place to hang, and the beach is unreal!! I love spending time there. We stayed at the ampelia beach, the viilage of gennadi was close by, we liked it a real greek village friendly locals, will go back again next year hopefully! I was born in this village 50 years ago! I love every inch and every stone!! Chris... I grew up with your brother Pavlos! Love Gennadi! Gennadi is a little piece of paradise - an absolute Greek treat - far from the frenetic tourist zone. Stergos and Poppi run a fabulous restaurant in the center of town; George, Augusta, Themetra and Rula have the best tavern on the Greek coast and Nikos and Maria have phenomenal gyros at their shop on the hill. Love it!! I enjoy the sun-drenched beautiful beaches and great terrain of this friendly destination. Me and my family lived in Gennadi for three months but sadly had to return to the uk. Enjoyed every part of our stay and will return. I was born on this lovely island 60 yrs ago and have returned many times. Gennadi has a beautiful beach with adequate hotels. A pretty colorful village with tall shuttered buildings and narrow streets, where the traditional way of life is still widely practiced, also featuring an excellent beach - although sometimes breezy.